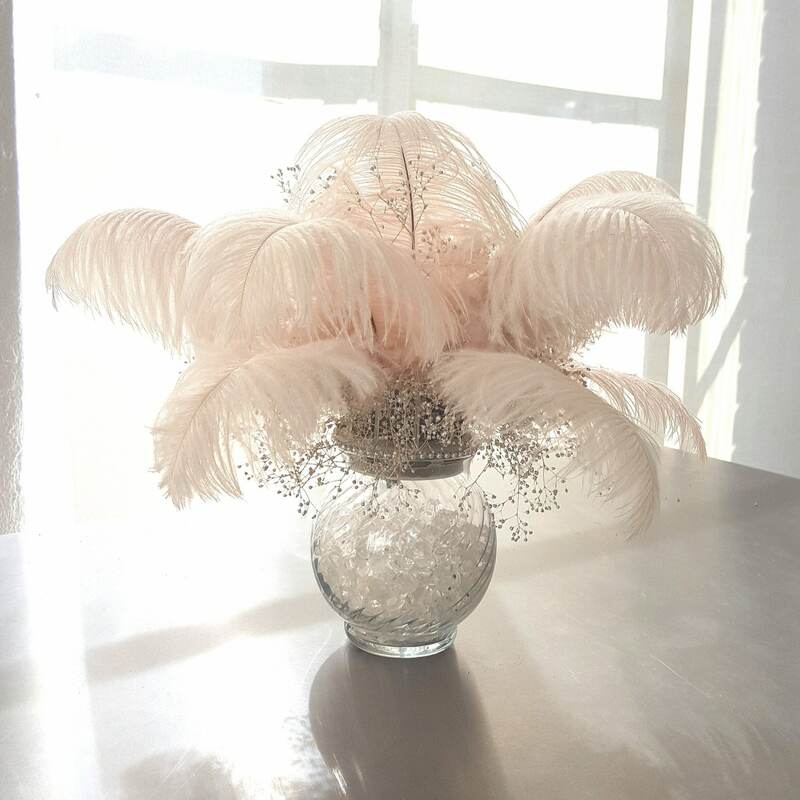 This listing is for FEATHERS ONLY - Vase and other accessories pictured are not included. 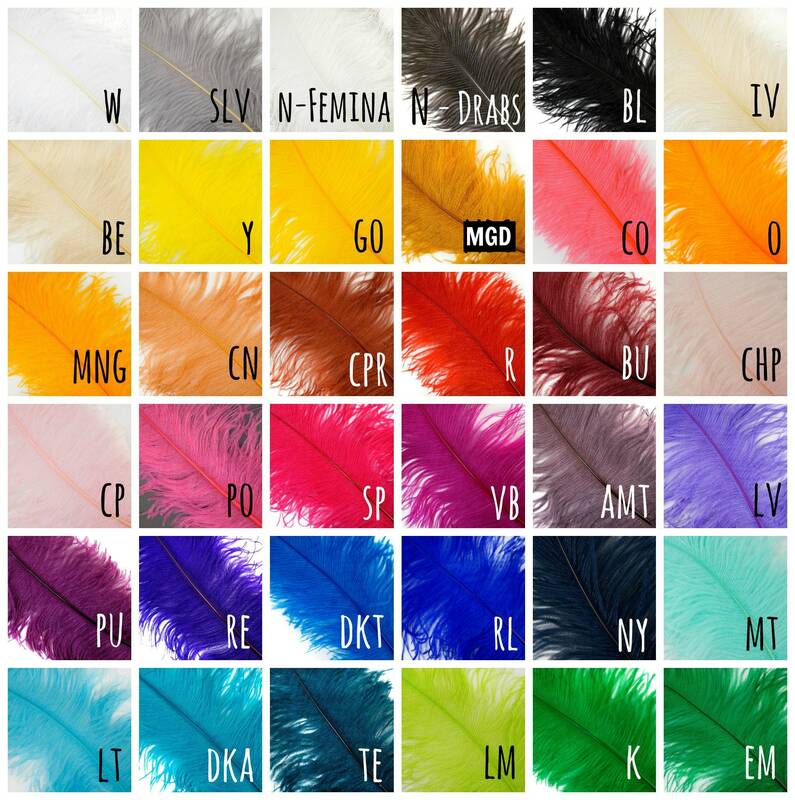 **SOLD PER 1/4LB***BESTSELLER : OP12 - Bulk Ostrich Feathers 9-12"
OP12 Ostrich Feather Drabs will range in size from 9-12 inches long and are available in a variety of colors for all of your projects. 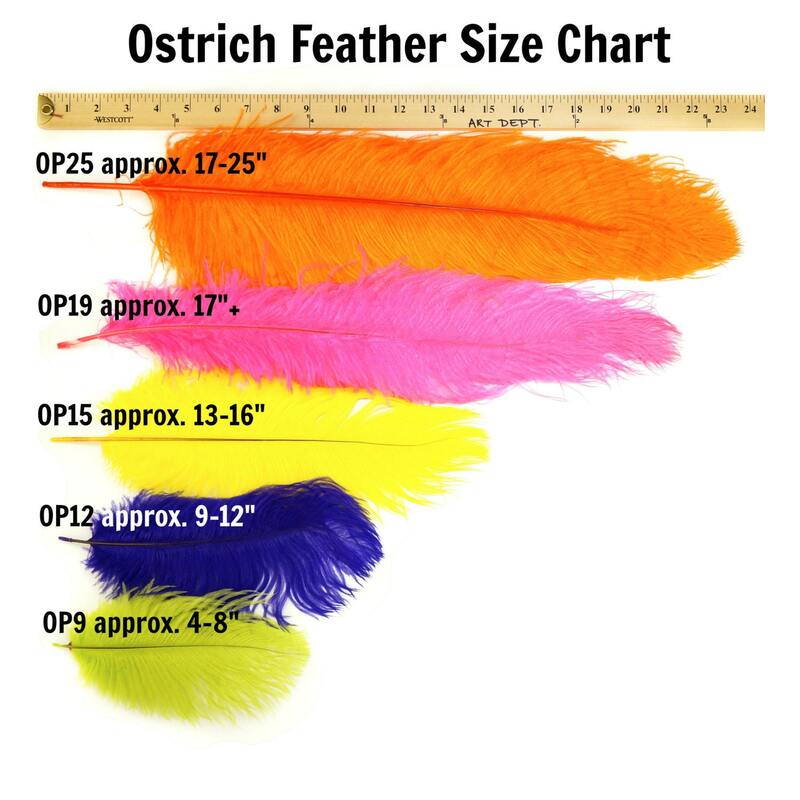 OP12LB Ostrich Drabs have wispy hair-like feathers coming out from a stiff center quill (between 1.5-3 inches long) and will range 3-6 inches wide. These feathers come from the body of the ostrich. 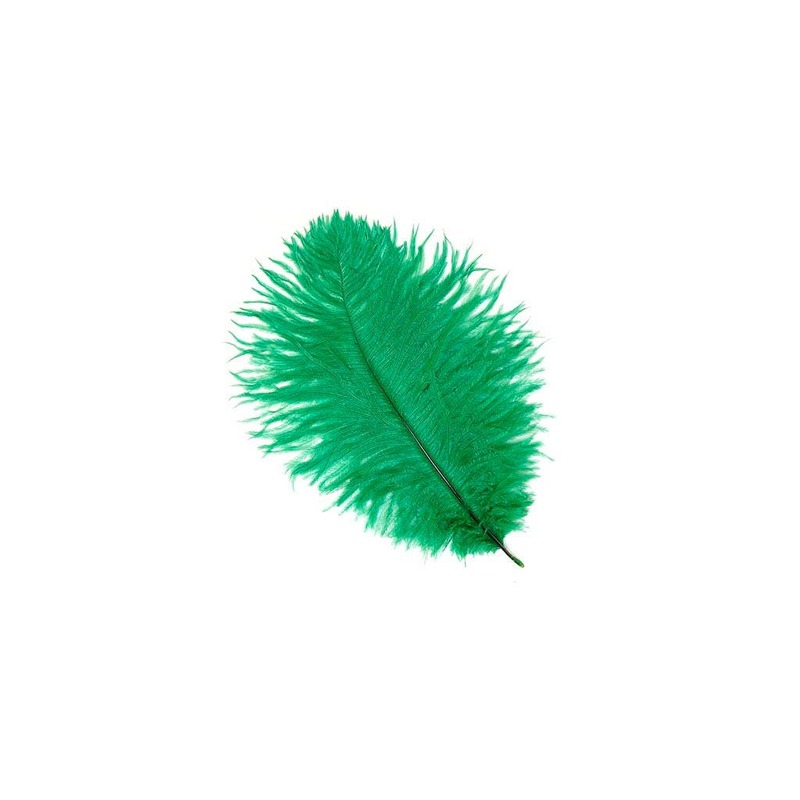 Purchasing Ostrich Feathers by the pound are subject to a 10% variance in quality and size. Image details : Made with only 12 OP12 Ostrich Drab Plumes 9-12" and glitter sprayed Babies Breath Flowers in a 5 1/2" round glass vase - Make sure to order accordingly.